Jaw discrepancies with malocclusion are most commonly a result of unequal growth of the jaws, but may also be caused by trauma, tumors, or other disorders. While minor jaw discrepancies can sometimes be managed by orthodontics alone, more complex jaw deformities affect both function and facial appearance and require a combined surgical and orthodontic approach. Since Dr. Rabinovich is known as one of San Francisco’s top Jaw surgeons, many patients comes to us for San Francisco orthognathic surgery. A maxillofacial surgeon and an orthodontist usually work as a team to evaluate and treat the problem in a comprehensive way. 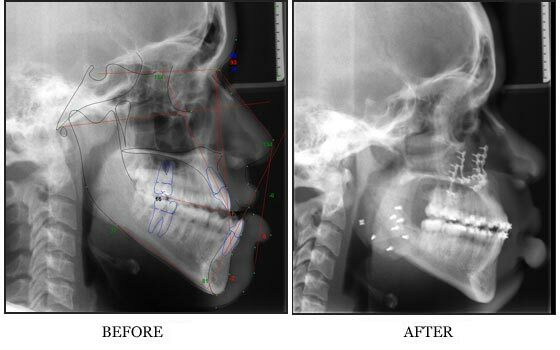 The main goals of orthognathic surgery are to achieve a correct bite, an aesthetic face. 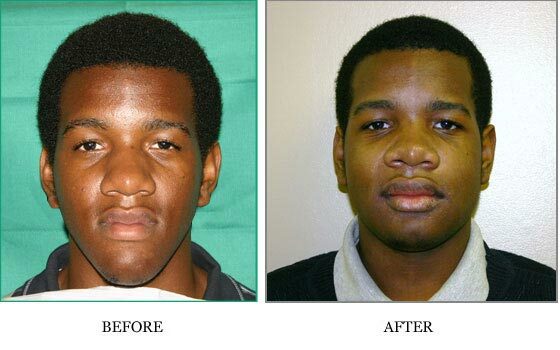 Nasal breathing problems may also be addressed at the time of surgery. 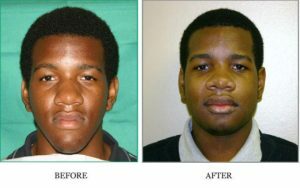 Orthognathic surgery is performed in a hospital or a surgery center in San Francisco under general anesthesia and usually requires an overnight stay. One or both jaws may be treated depending on the problem at hand. Most patients take 4-6 weeks off from work or school in order to recuperate after the procedure. Cleft lip and cleft palate are birth abnormalities of the mouth and lip. They are the most common cranio-facial malformations and affect about one in every 700 babies. Although clefting is more common among Asians and certain groups of American Indians, it may occur in any ethnic group. A child can have cleft lip, cleft palate, or both. It is also important to know that most babies born with a cleft are otherwise healthy with no other birth abnormalities. The causes of cleft lip and cleft palate are “multifactorial”, which means that multiple genetic, as well as environmental factors may be responsible for the condition. Children with cleft lip and cleft palate are usually treated by a team of specialists because the skills of many different areas are needed to help with the problems that can occur in cleft patients. The following are some of the members of the team: cranio-maxillofacial surgeon, orthodontist, pediatrician, pediatric dentist, speech pathologist, otolaryngologist and social worker. 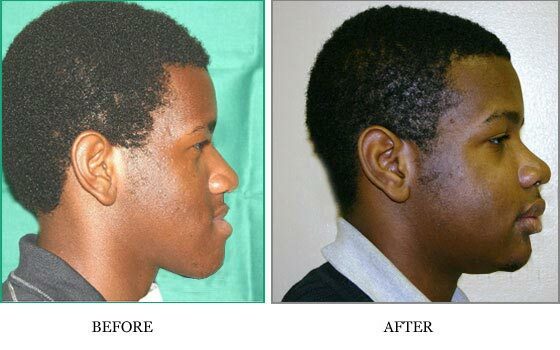 The initial procedure to repair the cleft lip can be performed in the first several weeks of life. Cleft palate repair is usually done when the baby is 9 to 12 months. When the child is older additional procedures are often necessary. They include bone grafting to the upper jaw and surgery on the soft palate when the child is around 6 years old to allow for normal speech development, as well as jaw and nose surgery during the teenage years. Working as a San Francisco jaw surgeon, Dr. Rabinovich has extensive training and experience in all aspects of cleft lip and palate surgery. He treats children with cleft lip and palate here in the United States and participates in medical missions abroad. 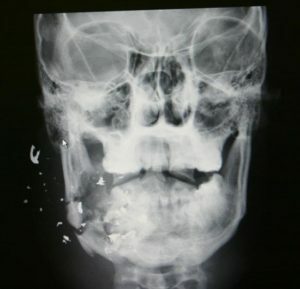 Patient with gun shot wound to right side of the face treated by Dr. Rabinovich, one of San Francisco’s top facial surgeons.